Designed for both scanning and CAD. Easy transports between rooms thanks to retractable cord and battery backup (UPS). Flexible choice of computer for smoother upgrades. 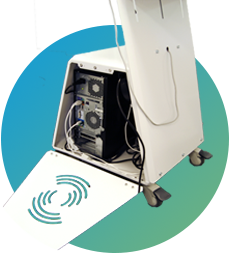 The service hatch makes maintenance easy for your IT technician. 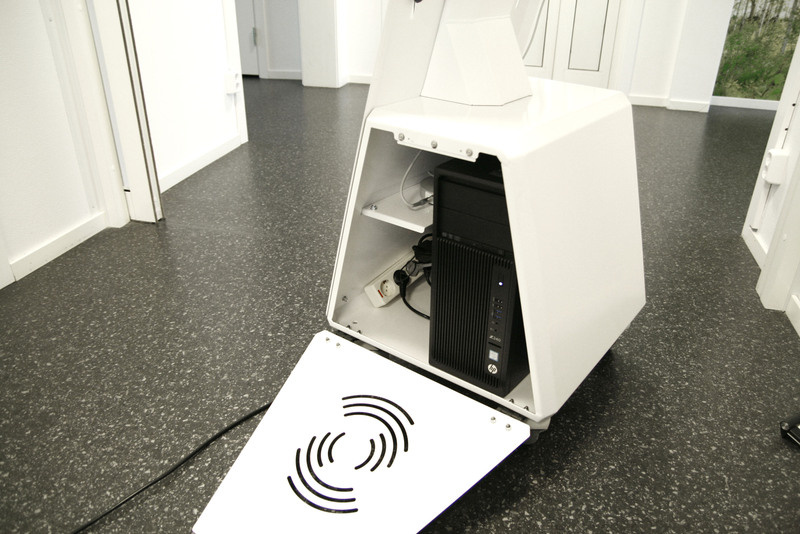 Compatible with multiple scanner systems. 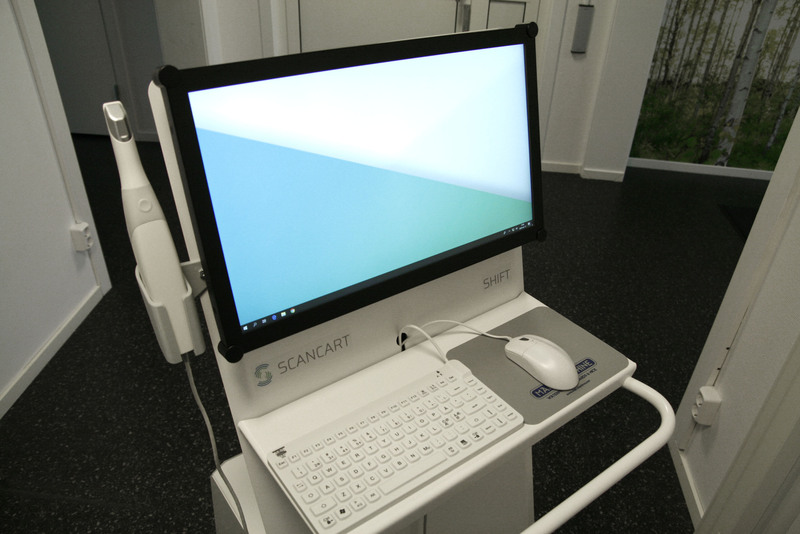 The screen is mounted high which makes patient communication clearer, makes it easier to scan and process the scan. 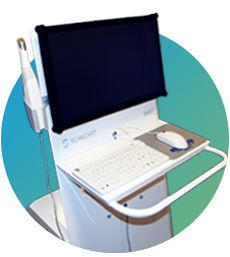 Scancart Shift is designed for both scanning and CAD. 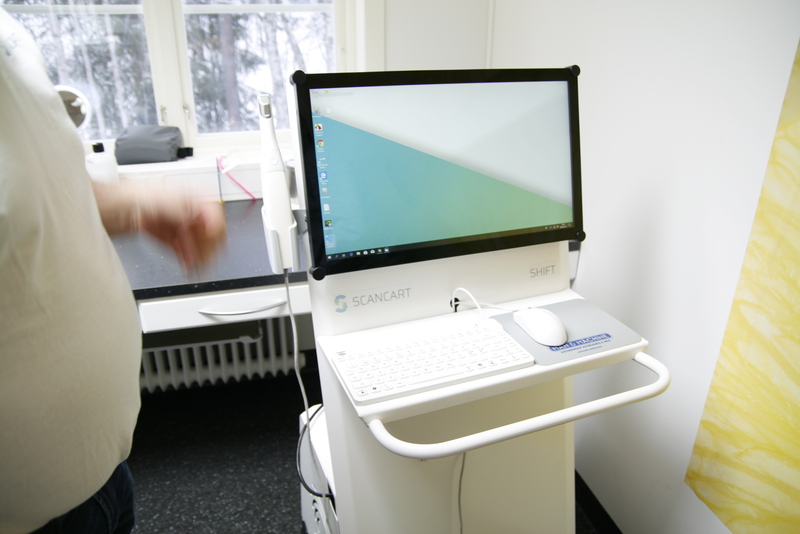 Easy transportation between the treatment rooms means that you can fully utilize your scanner – even in larger clinics. Portable or desktop computer – Shift can handle them both. We want to give you the opportunity to choose your own computer and service provider. Since many clinics already have IT technicians that help with maintenance operations, on Shift they can be performed quickly without unnecessary downtime. 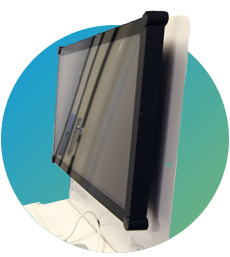 Large screen with touch and good resolution makes patient communication clearer. Communication with the dental technician requires a well-filled lab note. Dont bother with touch – great lab notes are only written on a keyboard. Another advantage is being able to mark the margin line and other details that require precision with a CAD-mouse. Accessories:Battery backup, Display mount with tilt etc. Sound interesting? Give us a call!